Liverpool FC Women have completed the signing of striker Kirsty Linnett. The 24-year-old joins the Reds to bolster their attacking options ahead of the upcoming FA Women’s Super League season. Linnett is an explosive striker who came through the youth set-up at Leicester City Ladies before joining Arsenal Ladies and then moving on to Birmingham City Ladies in 2012. After five years in the Midlands, Linnett then enjoyed a brief spell with Notts County Ladies before joining Reading FC Women in 2017. 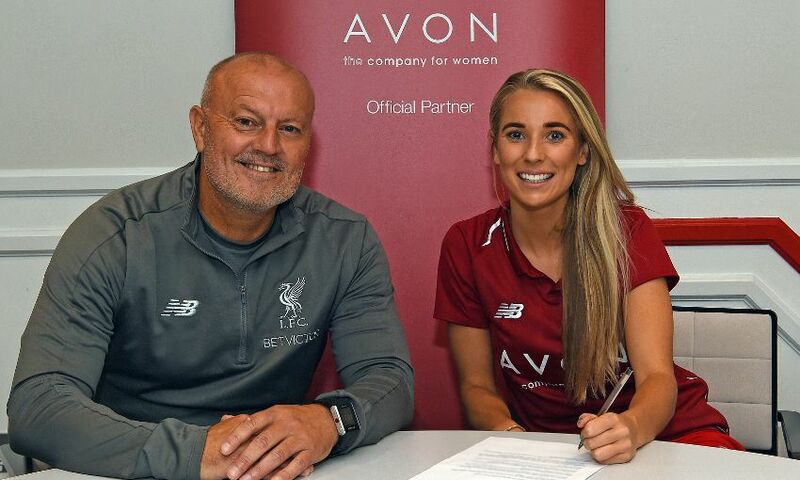 “I am delighted to join Liverpool FC Women and I’m really looking forward to working alongside the players and Neil [Redfearn],” she said. Redfearn said: “This is another great signing for the club. Kirsty will give us more options up front and I am confident that she can prove to be a really important addition to the squad.